Enjoy more than just another day at the beach at Hammonasset Beach State Park. 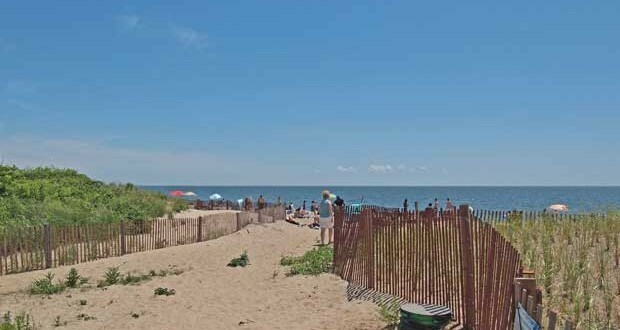 Connecticut’s largest shoreline park features more than 2 miles of beach for swimming, a boardwalk for taking a stroll, and relaxation under the sun. Hammonasset Beach Campground is open daily from May 17 through October 14. Reservations are available from May 24 to October 14. First come, first serve campsites from May 17 to May 23. The park has 558 open sites. The park has restrooms, concessions, picnic tables, picnic shelters, showers, a dumping station, a boardwalk, and a car top boat launch to make time spent at the beach enjoyable. The Hammonasset Beach State Park has saltwater fishing and fresh water fishing for the fishing enthusiast. Saltwater swimming, walking trails, bicycling, carry-in boating, and camping are all great ways to enjoy nature while visiting Hammonasset Beach. The Nature Center offers programs and exhibits to educate and entertain. During camping season, gates are monitored after sunset and passes are required.